Depp was married to Lori Anne Allison from 1983 to 1985. He was later successively engaged to actresses Jennifer Greyand Sherilyn Fenn in the late 1980s before proposing in 1990 to his Edward Scissorhands co-star Winona Ryder, for whom he tattooed “WINONA FOREVER” on his right arm. In 1998, following a four-year relationship with British supermodel Kate Moss, Depp began a relationship with French actress and singer Vanessa Paradis, whom he met while filming The Ninth Gate. After months of media speculation, Depp and Paradis announced their separation in June 2012. Depp has been dating actress and model Amber Heard since 2012 after the pair met on the set of the film The Rum Diary. The couple became engaged on Christmas Eve in 2013. Depp has two children with Paradis: daughter Lily-Rose Melody Depp (born 1999), and son John “Jack” Christopher Depp III (born 2002). In 2007, Depp’s daughter recovered from a serious illness, an E. coli infection that began to cause her kidneys to shut down and resulted in an extended hospital stay. To thank Great Ormond Street Hospital, Depp visited the hospital in November 2007, dressed in his Captain Jack Sparrow outfit, and spent four hours reading stories to the children. In 2008 he donated £1 million (about $2 million) to the hospital. Although Depp has not remarried, he has stated that having children has given him “real foundation, a real strong place to stand in life, in work, in everything.” “You can’t plan the kind of deep love that results in children. Fatherhood was not a conscious decision. It was part of the wonderful ride I was on. It was destiny. All the math finally worked.” Depp acquired a vineyard estate in the Plan-de-la-Tour area in 2007. Several reports indicated Depp bought Burnham Westgate Hall in Norfolk, England, a 13-bedroom Georgian country house, in June 2011. In 2012, Depp was sued alongside three security firms by disabled UC Irvine medical professor Robin Eckert, who claimed to have been attacked by his bodyguards at a concert in Los Angeles in 2011. Eckert suffered injuries including a dislocated elbow in the attack, during which she was allegedly hand-cuffed and dragged 40 feet across the floor. She argued in court that as the security guards’ direct manager, Depp failed to intervene, even though he did not actively take part in the battery. In October 2012, it was decided that Eckert could seek compensation and punitive damages from Depp, with a trial date set for August 12, 2013. Depp ultimately settled with Eckert for an undisclosed sum. 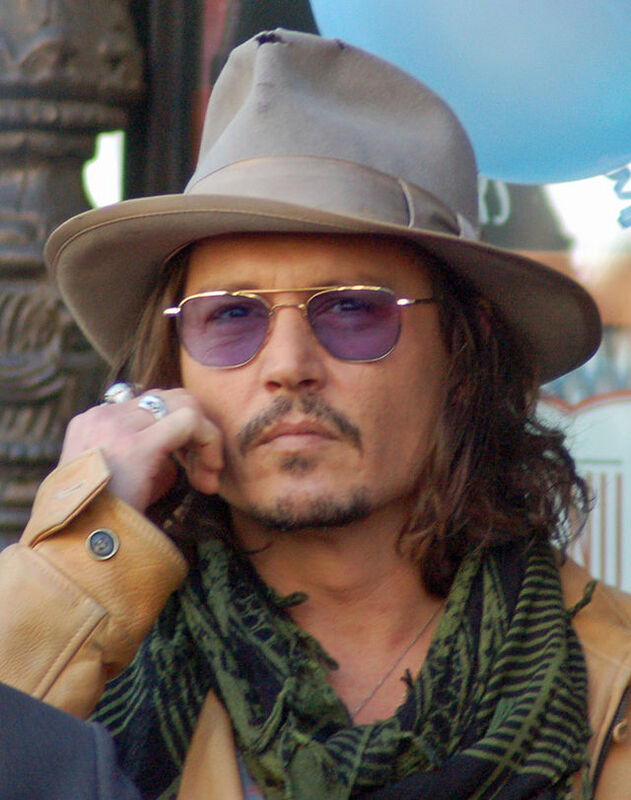 Depp is mostly of English ancestry, with smaller amounts from elsewhere in Europe. He is also of 3/2048 African descent as he descends (twice over) from an African slave whose biracial daughter, Elizabeth Key Grinstead, was the first woman of Sub-Saharan African ancestry in North America to sue for her freedom from slavery and win.